The Silver Eye Center for Photography offers a unique and memorable venue for corporate and private events for adult audiences. 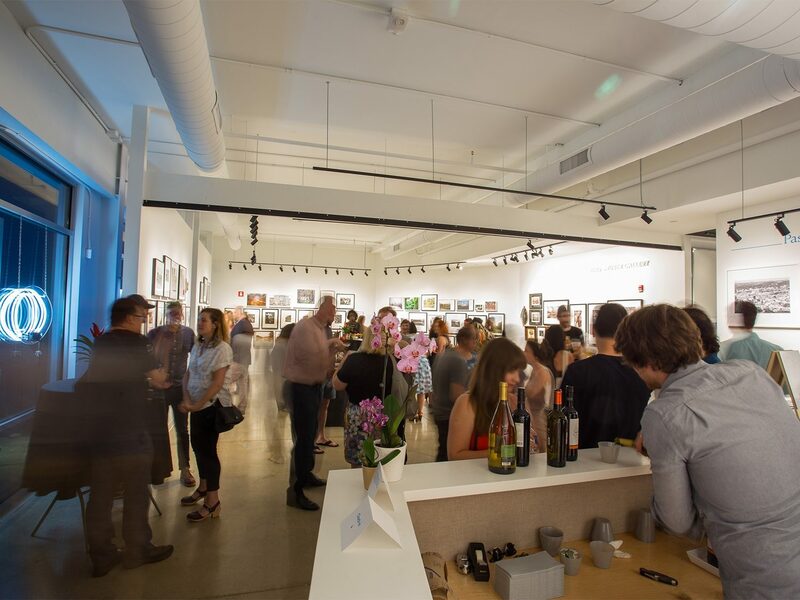 Host your meeting, party, or arts related reception at our exciting contemporary photography gallery. To get started with a rental request please complete our event rental form. Our location in the Penn Avenue Arts District combines an intimate, contemporary setting with internationally acclaimed art exhibitions to create a distinctive ambience for entertaining your guests. Silver Eye can accommodate approximately 75 guests for a cocktail reception, or approximately 30 guests for a seated event depending on the current exhibition and event space requirements. Given the open floor plan and the fragile nature of our art installations, the facility is not appropriate for wedding receptions, dancing, or events for children. This facility is ideal for audiences with a strong interest in photography, creativity, design and art education. The art exhibitions cannot be changes or altered for rental events. Rentals include tables, chairs, powerpoint projection, and a PA system. On street metered parking is available and free of charge after 6:00 pm. The rental fee for the gallery is $400 for a 5-hour gallery rental, or hourly for $100 per hour. A minimum of 1 Silver Eye staff member will be present throughout the event. Additional staff will be added as required at a rate of $15/hour. To get started with a rental request please complete our event rental form or call us at 412.431.1810.